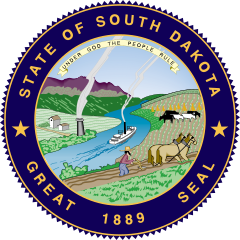 South Dakota was mostly forgotten by American settlers until 1874 when gold was found in the Black Hills. Miners poured into the area, establishing a wild, lawless culture and driving Indians out. Today some gold remains, but farming, ranching, and tourism are the leading industries. Native Americans account for 9 percent of the state’s population, most of them living on reservations. Iconic Mount Rushmore features the faces of four U.S. presidents: George Washington, Thomas Jefferson, Abraham Lincoln, and Theodore Roosevelt. South Dakota is the leading producer of bison meat, which is gaining popularity because it’s lower in calories, fat, and cholesterol than beef. Sculptors have been working on Crazy Horse National Monument since 1948. The monument honors the Lakota chief and warrior. Laura Ingalls Wilder lived in South Dakota. A museum in her honor is in De Smet. 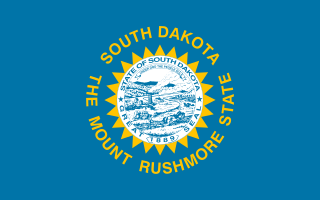 Question: How was South Dakota named? Answer: The word Dakota comes from the Sioux and means friends or allies. Watch a video about South Dakota. Declan, Tobin. " Amazing Facts about South Dakota ." Easy Science for Kids, Apr 2019. Web. 25 Apr 2019. < https://easyscienceforkids.com/south-dakota/ >.